Falguni Pathak is synonymous with Navratri. She is regarded as the queen of dandiya and has been performing in Mumbai for many years. You can dance to her tunes at the Navratri Utsav with Falguni Pathak 2018 organized by Showbizz. This event will be held at the Late Shri Pramod Mahajan Sports Complex in Chikuwadi, Borivali. 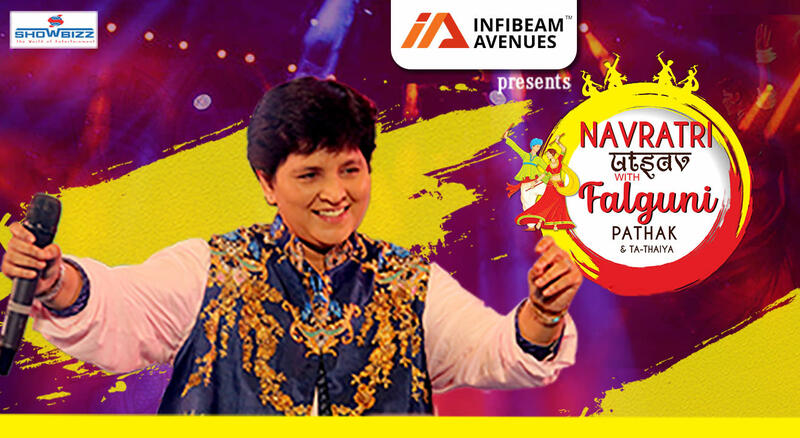 Join in with the Garba Queen Falguni Pathak and experience a breathtaking Navratri. With the biggest Navratri play-ground, mega stage and sound, experience the thrill of dancing into the tunes of none other than the Queen of Garba Falguni Pathak & Ta-Thaiya.